Born in Castlecraig, Scotland, John Gibb studied art under John MacKenzie of Greenock. He enjoyed painting shipping and exhibited with the Glasgow Institute of Fine Arts. He emigrated to Christchurch, New Zealand in 1876 where he became a major Canterbury painter, establishing a studio and teaching pupils artwork. His first exhibition in New Zealand was in 1876 in Firth's rooms. In 1877 and 1879 he exhibited in Australia, becoming a founding member of the CSA in 1881. During his career, he continued to exhibit widely in New Zealand and at the St Louis Exposition in the U.S.A. John Gibb is represented widely in public and private collections in New Zealand and worldwide. 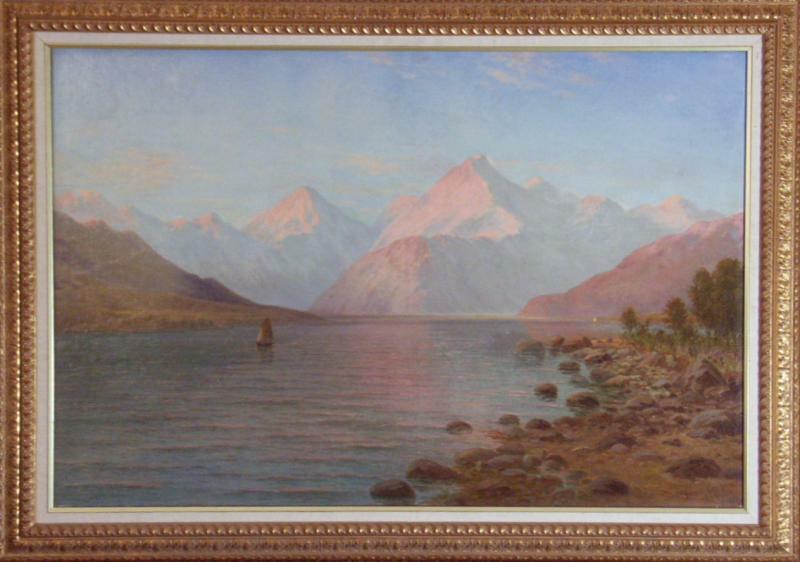 "Mount Cook and the Head of Lake Pukaki"
Painted in 1901, signed bottom right.